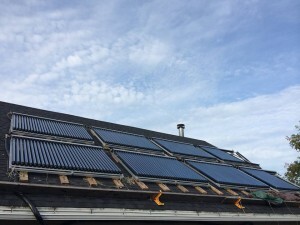 Karen and Carl Berndt, owners of Harbor Fish Market & Grille and Custards Last Stan in Baileys Harbor went live Thursday when they flipped the ‘ON’ switch on their new solar water heating system. 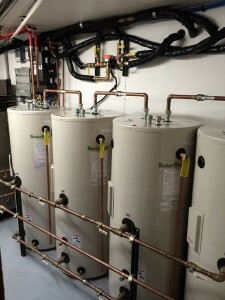 The project, which took ten months to complete, included two very important people in the process: Ben Anschutz of Anschutz Plumbing in Baileys Harbor and Patrick Strantz, a building contractor, full time maintenance manager at the YMCA in Fish Creek and long time maintenance manager for the Berndts. Together they have created a custom solar water heating system that not only addresses the water heating needs of the two restaurants but will also provide the hot water for the employee housing and the Berndt’s living quarters. Initially they wanted to work with John Hippensteel, Sturgeon Bay, who is heavily involved with alternative energy in Wisconsin, but he was out of the country. They talked to Ben Anschutz, who was very interested in this project and who ended up designing the system. Together with Patrick Strantz they worked with companies who specialize in materials and supplies for this type of system. 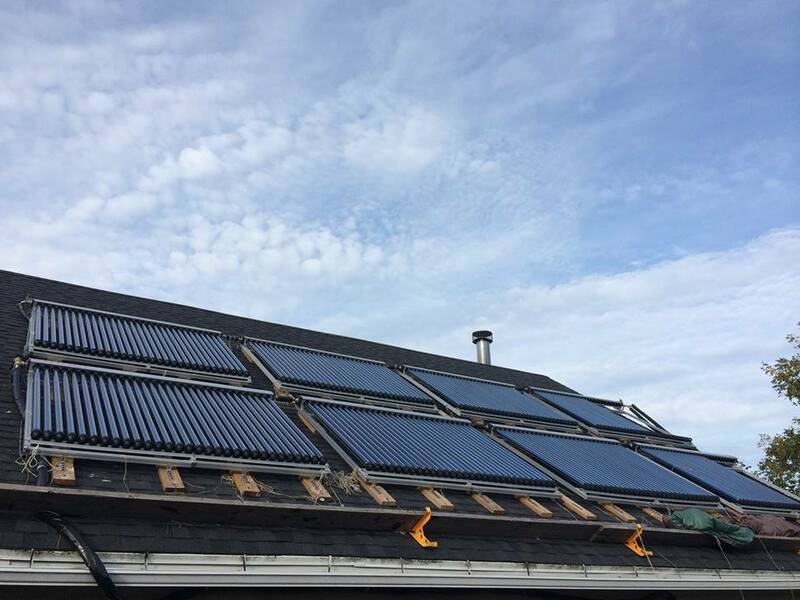 The solar water heating system has back up that will kick in during the days when solar energy is less, such as cloudy/snowy/rainy periods. And in case the water is too hot, there is a safety system in place as well. The roof has about 350 square feet covered with solar panels which heat the glycol which then travels to the 4 water heaters and heats the water before cycling back to the panels. The potable water reaches a comfortable 125F easily. The water is hot, and so are the meals! Harbor Fish Market & Grille serves up breakfast, lunch, and dinner daily, and even offers a New England Style Lobster Boil every weekend plus Wednesdays! Their Thanksgiving Day Buffet is coming up faster than you know and it will fill up faster so make your reservations now – (920) 839-9999. 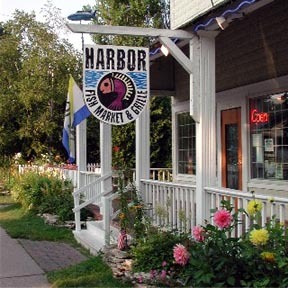 Harbor Fish Market & Grille is located at 8080 Hwy 57, Baileys Harbor, Wisconsin 54202. Find it fast with the Door County Chefs FREE Mobile Dining App!